Yawning less than your family and friends could be a sign of good sleeping habits, or as suggested by a recent study, it might be a sign of underlying psychopathic tendencies. Either way, though, it’s probably nothing you need to worry too much about. 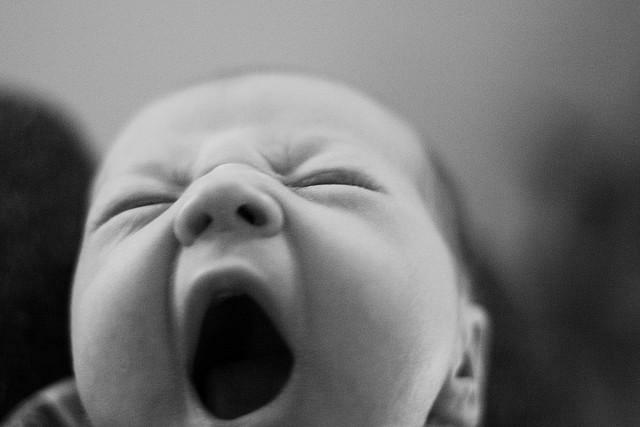 Individuals are more likely to yawn when they see others around them doing the same. Referred to as the yawn contagion, this idea is built on the idea that yawning is a social phenomenon largely influenced by empathy and our ability to perceive the emotions of others. Working off this idea, a team of researchers from Baylor University in Texas hypothesized that those with less empathy would be less likely to “catch” the contagious yawn. Psychopathy is a personality disorder characterized by antisocial behavior and diminished empathy and remorse. If the researchers’ theory proved true, those who scored higher on psychopathic personality tests would also be less likely to react to the contagious yawn. To test this theory, the team had 135 male and female students complete the Psychopathic Personality Inventory Revised (PPI-R) tests to measure their level of psychopathy. This test asked questions to help determine students’ personalities in relation to traits, such as fearless dominance and self-centered impulsivity. The team then exposed the same students to a yawning paradigm intended to induce a reactionary yawn. Male students were also exposed to a startle-reaction paradigm. Our understanding of psychopaths has evolved a long way since Norman Bates first terrified viewers in Psycho. Psychopaths are generally considered to have been born with emotional and chemical imbalances that cause them to have a skewed moral compass. They are described as being callous and unemotional. Many believe that, although psychopathy cannot be cured, when addressed early enough, these individuals can learn to control the personality traits that make them more susceptible to a lifetime of crime and violence. While having an overwhelmingly psychopathic personality may put you at greater risk for a lifetime of crime, being only slightly psychopathic can actually be beneficial. According to Kevin Dutton, an Oxford research psychologist who wrote a book on the subject, in an interview with Smithsonian, those with psychopathic personality traits tend to be assertive, don’t take criticism personally, and like to focus on the positive. They are also generally cool under pressure and aren’t likely to beat themselves up when things go wrong, even if they are to blame. Dutton argues that these characteristics are important both in the business arena and in everyday life. Past research has shown that individuals on the autism spectrum are also less likely to catch yawns, although unlike psychopaths this is not due to their inherent lack of empathy but rather their inattentiveness to facial cues. Source: Rundle BK, Vaughn VR, Stanford MS.Contagious yawning and psychopathy. Personality and Individual Differences. 2015.